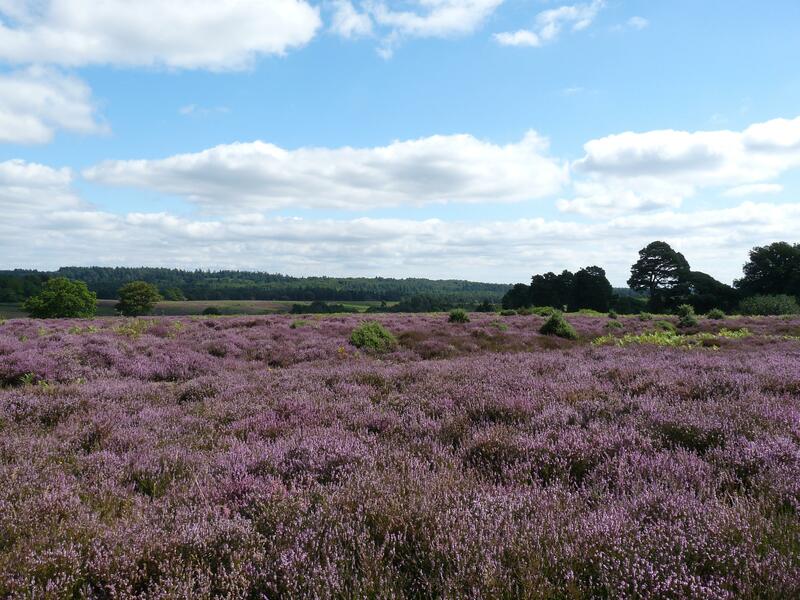 On the very last afternoon of the school summer holidays (4th September), my husband (a teacher) and I took a last trip out together, and since we had to be in the New Forest, chose one of my childhood haunts, when my father was Forestry Commission Head Keeper for the north of the New Forest. On this occasion my thinking was that we might see deer, and also dragonflies and damselflies. I spotted a distant mixed bunch of Fallow before we’d got off the tarmac road, and we weren’t to be disappointed by the mating Emerald Damselflies on the pond. We also found a good number of Bog Asphodel seedheads (Narthecium ossifragum), and what I take to be Oblong-leaved Sundews (Drosera intermedia) among the various wallows and valley mire areas (though you’re welcome to correct me if I’m wrong with my i.d.). But it was the Fallow Deer that proved the most interesting to me on this occasion. It was a large group of 30-40 “small deer” as my Dad would describe them; does with fawns, and some yearlings, the prickets (yearling males) showing their first antlers. Among them were 5 melanistic (black) animals, one of which was definitely a fawn another being a mature doe. There was also a white doe, and a menil pricket. It was a really impressive show of the range of colours that exist in the coats of Fallow Deer, and when we showed my father the photo’s later, he commented that it was the most diversely coloured herd he’d seen for many, many years. The white deer aren’t albino, having normal coloured eyes, but do tend to have cleaves (hooves) that are paler than normal. Dad showed me a paper he co-wrote in 1975 for the British Deer Society journal ‘Deer’ (Vol 3, No7), which explains that the white deer had been in the New Forest for “a very long time” owing their origin to the historic parks north of the Forest. The black and menil deer were at that time a more recent introduction, with the Keeper of Holly Hatch recording the first black buck in 1945 from Loosehanger. The first menil Fallow was recorded by New Forest Keepers in 1965. The records published in that report gives the Keeper’s 1974 survey as showing 63 white Fallow, 12 black and 15 menil. It would be interesting to discover what those numbers stand at more than 40 years later. In the meantime, if you’re in the New Forest, do look carefully to see what deer you can see; only the Fallow have this colour range! Yesterday was to all intents and purposes the last day of my summer. I spent it out in the New Forest on not one, but two walks with my family, because I’m greedy and it was a nice day. Our morning outing was to a place called Backley grassground and Soldiers Bog, which if you’re driving south from Stoney Cross on the A31 you can see on your left… though it’s probably better and safer viewed as a passenger! 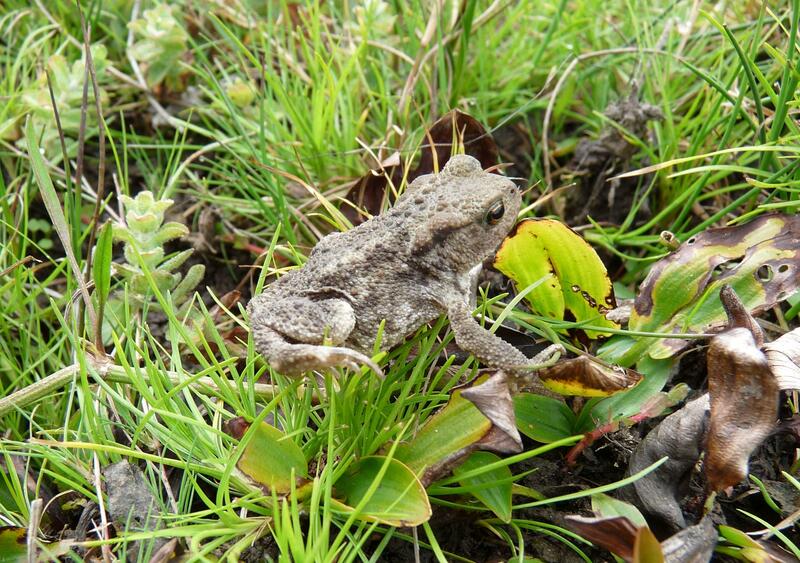 Down in the bog, whilst the husband was chasing dragonflies (we were meant to be working with two cameras but it became a slightly amusing squabble for the one we both prefer), the lad shouted “baby frog” but it turned out to be even better – a young Common Toad. We even got a video clip for my husband to use in school. We were expecting Hobby’s to be visible working the valley bottom for dragonflies, but not a raptor was in sight, so after a little while leaning on the bridge in the bottom watching dragonflies, we climbed the hill again, this time startling a young Fallow Buck about 3 years old, before wending our way back to our access point to the open forest. After lunch at ‘home’ in Lyndhurst, I was greedy for more and determined to see a favourite raptor, so we set out again to a spot I visited last year where my son and I found a Hobby nest. After a little distraction from a fading Holly Blue on the ling/heather, I heard the sound I’d been straining for – a juvenile Hobby calling from the same clump of pine that we’d found the nest in last year. There were in fact two, and both were well fledged and off the nest, though still clamouring for food from a parent. 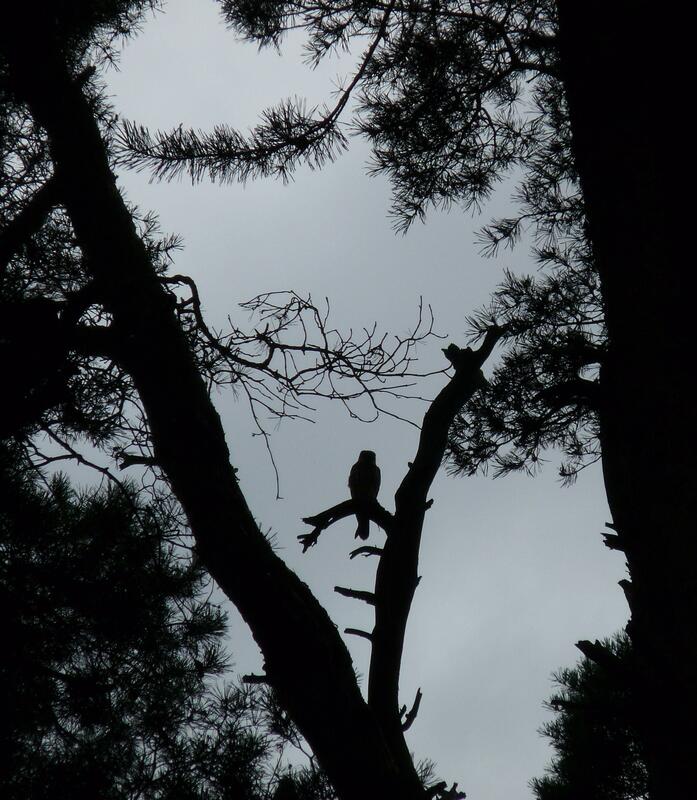 The light was against us so my poor photo was only in silhouette, but we saw all three birds clearly before walking in high spirits back to the car and ‘home’ once again. Today, we drove properly home to Yateley again, where the wildlife can be as good, and we have wi-fi to upload the pictures! 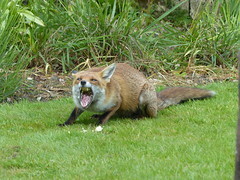 There are more of them, and some snaps of Curlew and Fountains Abbey on my Flickr site – accessible via the left column. Now things start to get really busy again, so I shall enjoy the memory of this lovely end to our summer, as I start to get back into the grips of ordination training. Back at the end of July before we took our holiday, I grabbed a few hours with my Dad wandering one of his favourite butterfly woods in the New Forest. 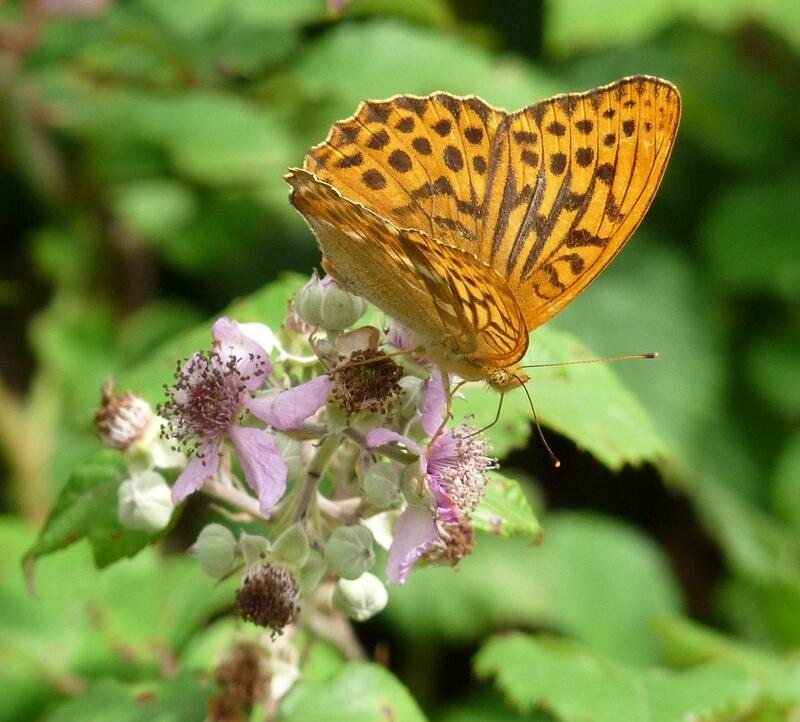 It was a veritable bonanza of butterflies, when I got my best ever sights of Silver Washed Fritillaries. 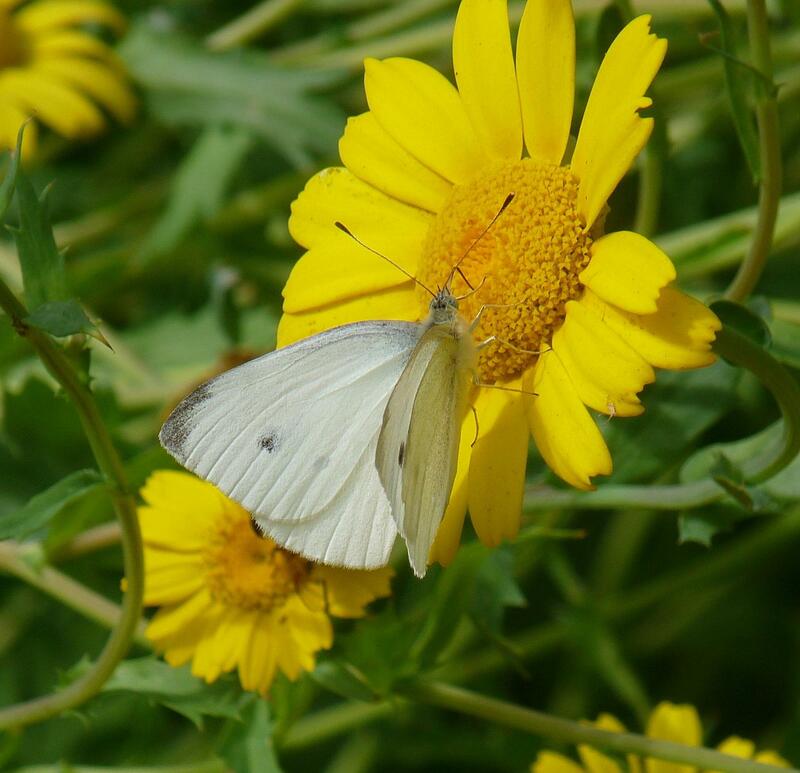 I also learnt the difference between Green Veined and Small Whites. 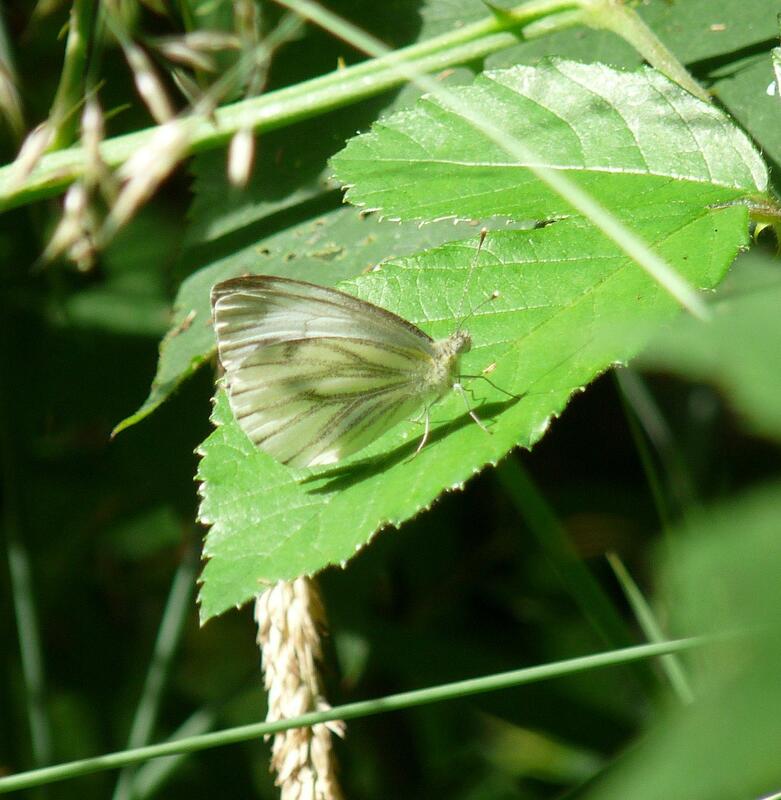 It seems to have been a big year for Whites – in the Yorkshire Dales a fortnight later there were clouds of Small Whites in the gardens where we were staying in Askrigg, with a few Green Veined among them if you looked hard. 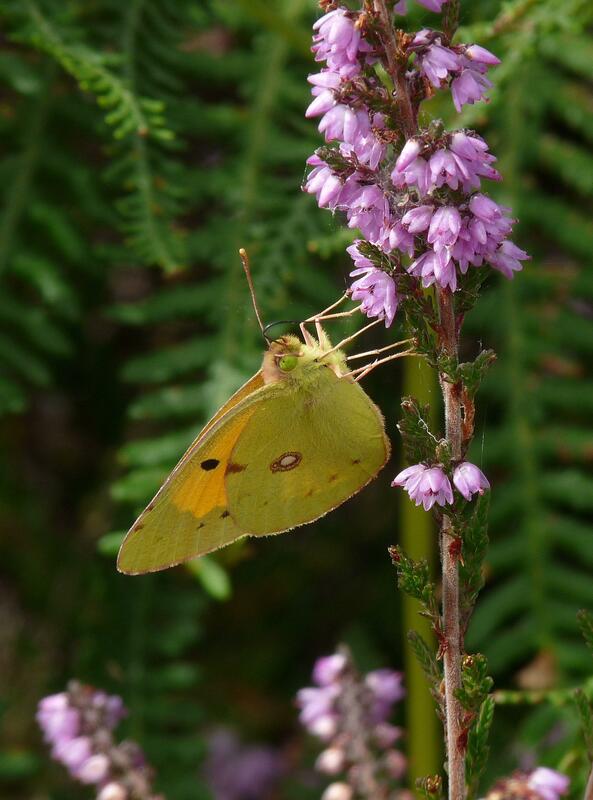 We also saw a Ringlet, common here in Yateley but I’d never found one in the New Forest before, and also Gatekeeper’s but my photos of them weren’t very good! 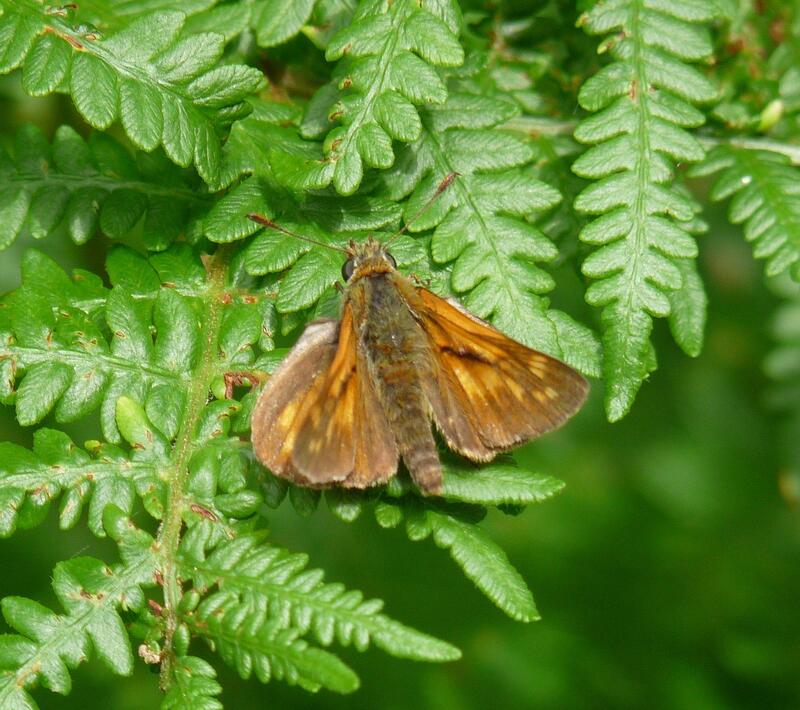 Reviewing the photographs I have also now learnt to tell a Small Skippers from a Large Skippers – the large ones are (obviously) slightly larger, but also have more a dull brown around their wings. 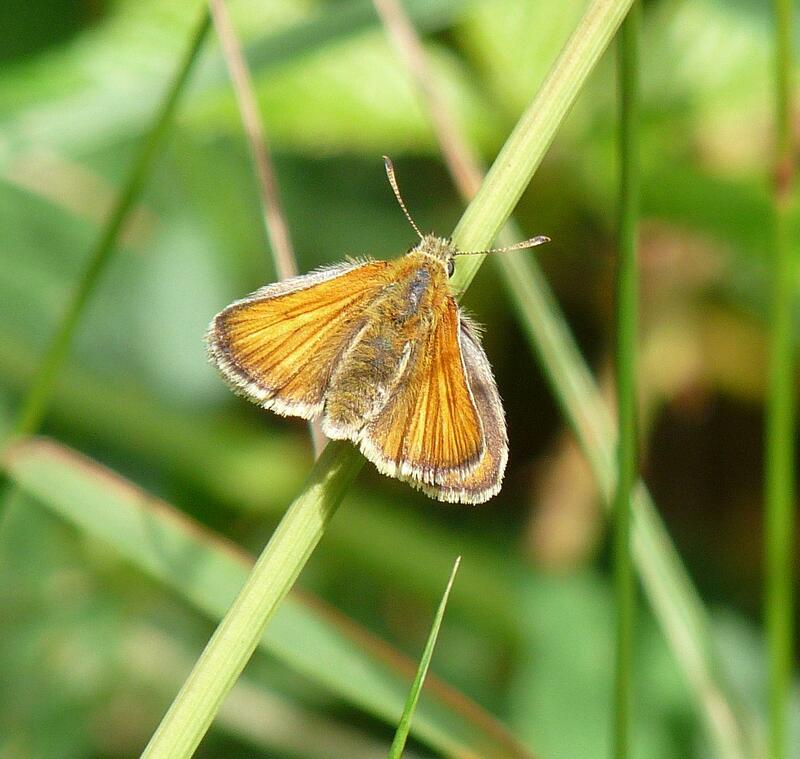 I love these little butterflies – I think of them as the cute teddies of the butterfly world! 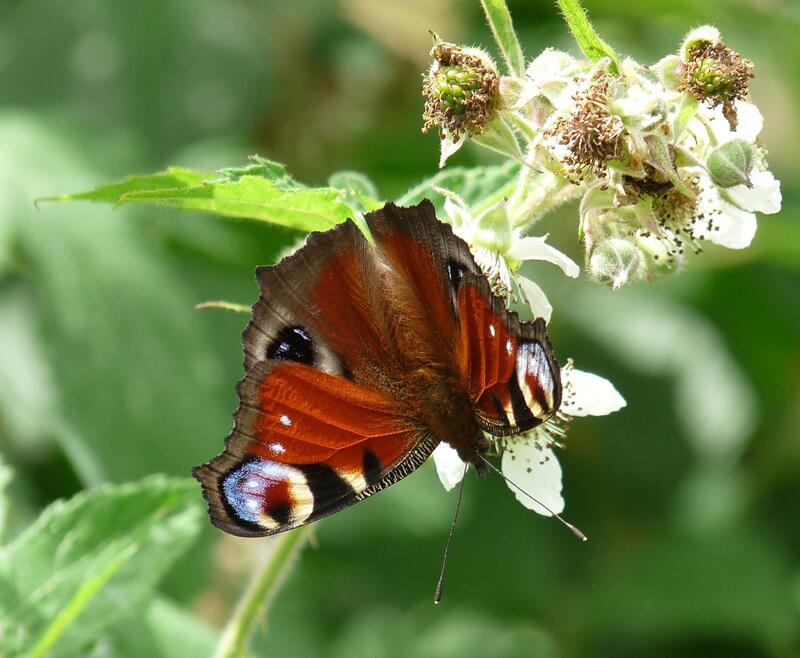 There was also this beautiful Peacock butterfly – I’ve seen only a few of these this year in Hampshire. We missed out completely on my dream of seeing a White Admiral but that means there’s plenty to keep me looking next year. There’s more photo’s on my Flickr account if you’re a real fan, feel free to wander over there. Hopefully I’ll be uploading some holiday photo’s soon – a week which was defined for me by the sound of Curlew. 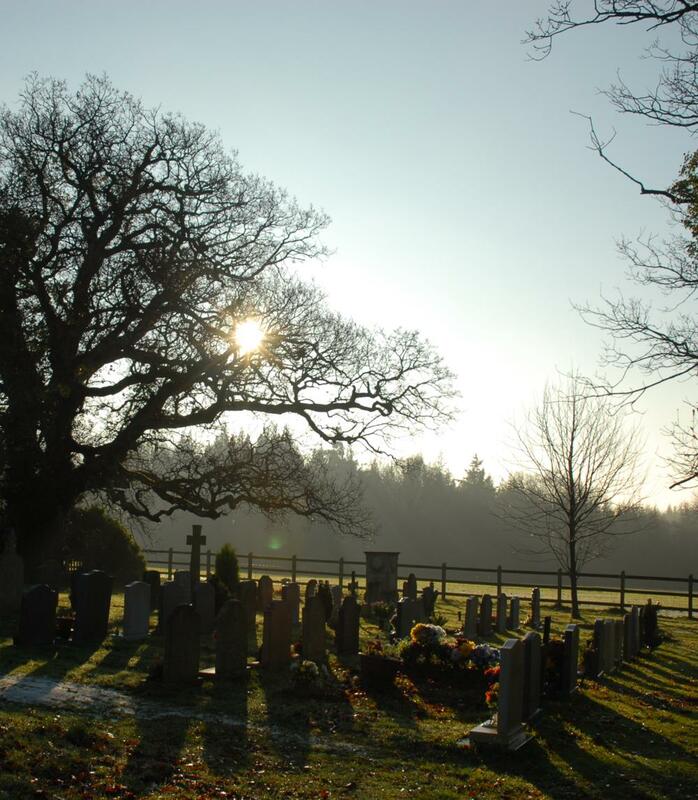 Minstead’s Local History Group are making their fascinating exhibitions a bi-annual event and the next one is at the end of the Easter holiday period at Minstead Village Hall. For me, it’s about a place, and people, I’ve known all my life, but most particularly about learning new things about a place I love, new connections with past history – national history and local history. A display of ancient tools, and another entitled ‘Golden Letters’. Other history groups represented will include those from Emery Down, Copythorne and Fordingbridge. Exodus 3:1-14 Moses and the burning bush – the watcher that was watched! Have you got the feeling you are being watched? 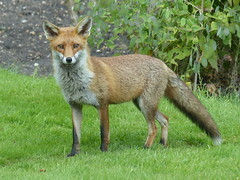 I grew up in the New Forest, the daughter of a wildlife manager. I regularly had the opportunity to go out with my father to watch the wildlife of the woods and heaths, as I accompanied him in his work. Now he’s well retired, nothing much has changed – except I have a family who join us on our expeditions. Theoretically, we are the ones doing the watching – eager to catch a glimpse of perhaps a deer, a bird of prey or a badger, or perhaps an insect like a butterfly or dragonfly, going about their normal routines. They will be hunting, or drinking, or feeding… or moving purposefully towards some distant place for a reason we may not be able to discern. Often though, it is the animal itself, that is the most watchful… frequently by the time we are aware of its presence, it is watching us. Deer and badgers in particular I’ve noticed, are curious. Deer are curious largely because of their survival instincts. Where are the dangers in the world around them? Dangers that include both humans and fire! The curiosity of a badger seems to be more inspired by hunger, and the constant question of whether something they encounter is edible – whether it’s a passing beetle, or a deliberately placed peanut (which is the more likely case in my father’s garden)! In both cases, one wrong, noisy or noticeable move on our part and the animal is off and away. The watchers have become the watched. I wonder, when were we each last aware of God watching us? As we wait on God and worship him, are we watching him for what he might be doing? Are we curious to see God revealed in what is going on about us? Are we aware that we are in some sense the watchers, being watched? God is watching our every move! After forty years of shepherding for his father-in-law, I don’t suppose that Moses had stopped being watchful. I’m sure he had a very keen sense of where the predators were most likely to pose a threat to the flock. Like a deer, he would have been alert to every movement among the rocks and prickly thickets of the region – curious to know if that movement denoted a threat. Equally in a barren and desolate country Moses would have watched the seasons, the weather, and the cloud formations, knowing that through them he would sense where the best grazing would be and when it would be worthwhile moving the flock to new, fresh pastures. The fresh pasture was vital to the survival of both the flock, and of Moses himself – the nomadic herders lived by their flocks, and often their only source of food and drink were the meat and milk of the animals in their care. But I wonder as he tended the flocks, whether Moses realised just how carefully God was watching him, and had already had a hand in his life? I’m not sure that he was that acutely aware of God, but God was watching his every move, and was able to make good use of Moses’ own curiosity and watchfulness. Fire could have presented a threat. A threat to the flock, and even a threat to himself. Even in a rocky desolate terrain where there was nothing much to burn, if what pasture or forage there was became burnt, it could lead to starvation for the flock and the need to move on. But the fire that Moses encountered was no threat to the flock. Nor to Moses. As it sparked his curiosity (if you’ll excuse the pun) it showed itself to be something inexplicable, defying the laws of nature; a revelation of the fact that Moses the watcher, was in fact the watched. The fire that revealed God’s presence, was as unique and distinctive as the God it made manifest: an active force, it needed no external fuel to feed it, and therefore burnt without consuming that which it embraced. God needed to make himself known to the watchful and curious Moses, and made good use of those natural instincts in revealing himself to Moses. Many of us will be quite familiar with this story, and know that through that burning bush, God revealed his holiness, and inspired in Moses the actions of a humble servant, willing to obediently remove his sandals in the presence of his living God, so that he might receive a commission of immense proportions and acknowledge the power that God had to direct his life. But today I wanted to focus our attention on the fact that God is watching us. As we move through life, God’s unique and distinctive presence in the world, is personal. Unlike a deer or a badger, he watches us not because he is wary of the dangers of the world, or hungry for a juicy morsel. God is watching us, because he has a purpose for us. But will we be in the right place to notice it, and will we be curious enough to recognise it? We might feel worn out, and in something of a barren, desert wasteland. We might have served forty years, continually watching out for the dangers that might befall those we care for, or care about, constantly carrying out the same basic tasks. We might feel the same way about our worship, the worth we attach to God’s role in our lives, having faithfully served him for many, many years. But are we still looking for the best pastures for ourselves and for those we care about – whether that is our earthly family, or our Christian fellowship? Are we still curious to see God, in all his holy uniqueness, revealed to us in all that surrounds us? Each one of us needs to reach the far side of any wilderness we feel we may be in, and find the pasture that will feed not only us, but those around us, those for whom we care. Where are the rich pastures that will sustain us, and in which God will be able to reveal himself to us? The rich pasture that we need to seek, will suit our character and our habits. None of us today are herding sheep and goats in a barren desert! Instead we might be caring for our friends and neighbours, or sharing our talents in some way that benefits or supports others. We might be feeding them, and ourselves, through what we read, the music we hear or play, the prayers we share, or little acts of kindness. Among all these acts, as Christians we are probably watching for God, looking for him to be doing things in the lives of those we meet. 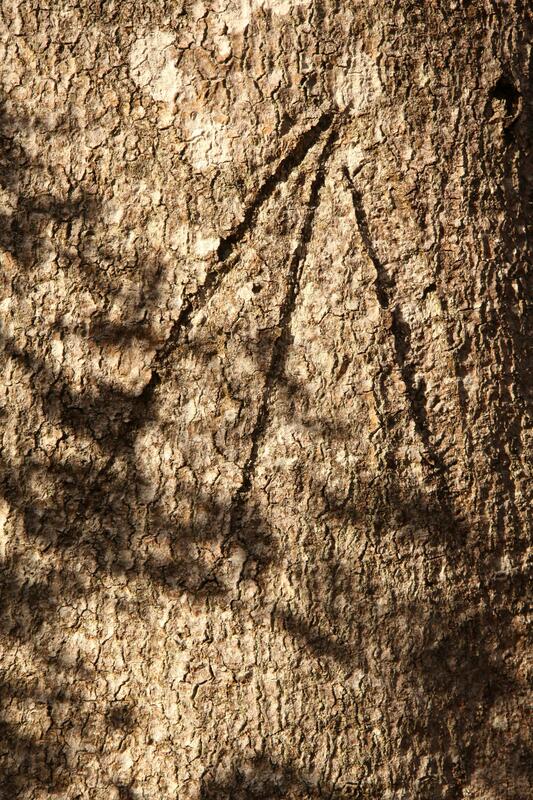 Among all the daily, repetitive acts that we have carried out for years, do we still have the curiosity to spot the burning bush that reveals God’s presence and some new command to us? The ever watchful Moses saw a living flame, that revealed the holiness of God, and through his curiosity as to its source, was commanded to take a simple action and undertake a mammoth task. Ultimately Jesus was also that living flame, a symbol of God’s unique holiness, the one for whom so many watched, and who inspired such curiosity. Unlike deer and badgers, Jesus doesn’t run away when we make a wrong, or noisy move – but remains a constant witness to God’s watchfulness over us. One of the many challenges that I think this reading presents us with is the need to keep watch and stay curious. As we move through our daily tasks we need to be aware that God is watching us, looking to see where we are, keen to catch our attention. He has a plan for us that isn’t finished yet. Somewhere, just in front of us, is a living flame, something that God wants to grab our attention with, something that will reveal Jesus and something else he wants us to do with our lives. When is a phonebox not a phonebox? When it’s an information exchange! I remember student competitions to see how many people you can get in a phonebox, but this is something quite different! 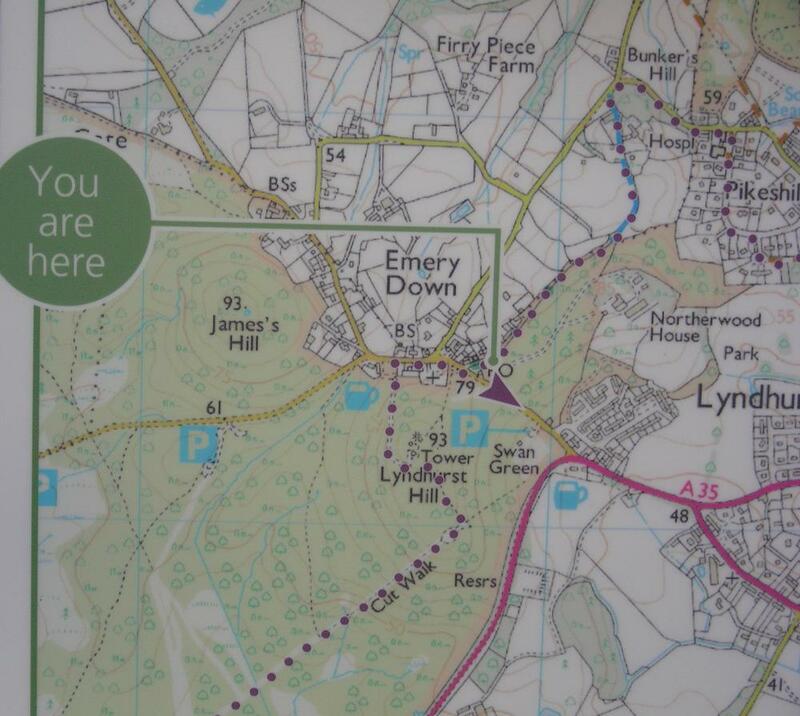 Since I re-tweeted a couple of weeks ago a BBC News story about the new use that locals in Emery Down in the New Forest have found for their dis-used telephone box, I have had repeated hits searching for the “Emery Down Phonebox”. So I thought, on a trip ‘home’ that I’d view this new phenomenon, and give it a post all of it’s own – because I think it’s a fantastic idea that other communities could copy! The project to save, and use, a disused phone kiosk has involved the parish council (who bought it for £1 from BT) and National Park Authority. It is now stacked full of information, books to borrow and all sorts of things, and boasts it’s own website! Alongside the tourist information maps, today we found a great selection of books to suit most tastes, some tomato chutney, duck eggs, fudge and tomato plants (swap or pay for in the honesty box), and I particularly liked the emergency box of plasters for passing walkers with blisters! Just one suggestion for the organisers (and they’ve possibly already thought of this though I didn’t notice one), since the ‘phonebox’ is set slightly off the main route through the village, put a sign up on the junction at the top end of the lane, so people know there is information there to help them. 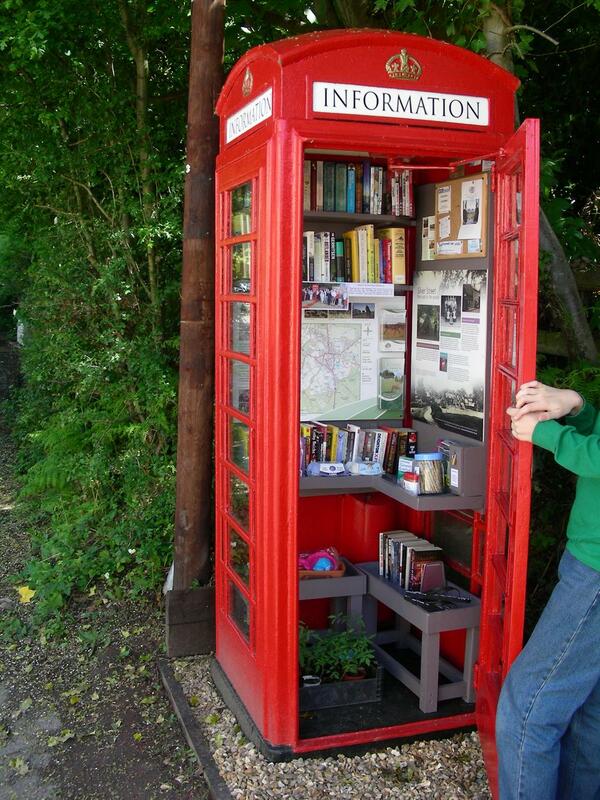 If you are visiting the New Forest, perhaps stuck in a traffic jam on the A35 from Christchurch to Lyndhurst, take a break, step aside, and find the phone box in Silver Street, Emery Down (on the back road to Minstead) – and praise the community spirit that made it happen, because I do! Minstead Past and Present – this weekend! Over the last 12 months or so, I have been helping my father put together his part of an exhibition about the history of the village I grew up in: Minstead. 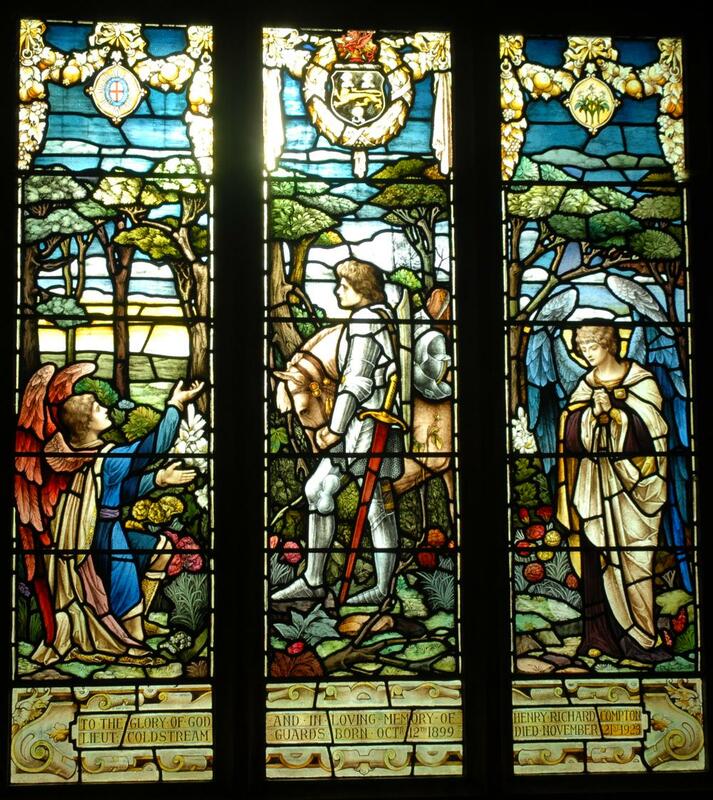 Minstead is famous for several things, including famous past residents like Sir Arthur Conan Doyle, and as the place in which William Rufus (King William II) was killed by an arrow. Indeed there are members of the Purkis family helping with the exhibition and of course it was a Purkis who took King William’s body to Winchester on his cart! Well, the exhibition is this weekend, in Minstead Village Hall, running from 2-4.30pm tomorrow (Saturday 7th May) and on Sunday 8th May from 10am – 4pm. 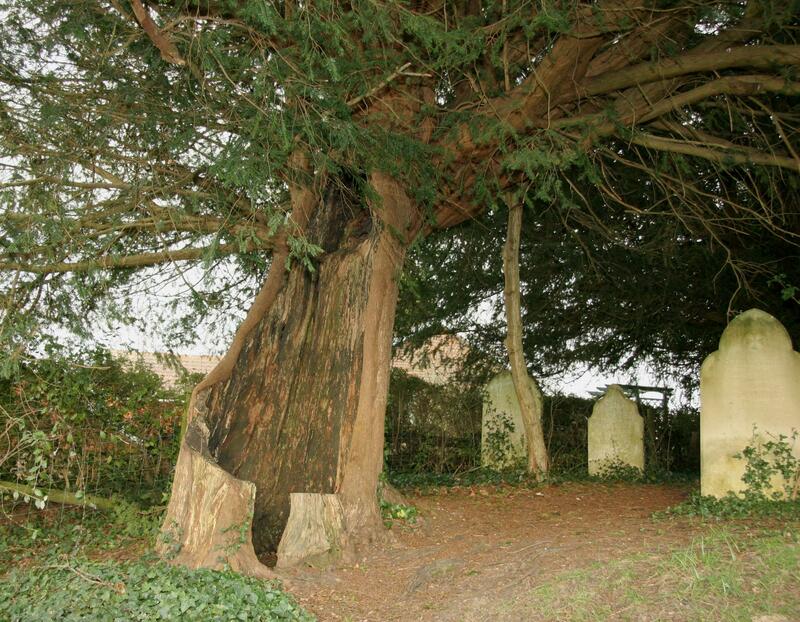 For anyone with an interest in, or connection with, Minstead, the New Forest, Commoning, the Compton family (local “Lords of the Manor”), or fans of Conan Doyle, it will be fascinating. There will be plenty of recent history as well – the May Pole Dancing and celebrations for the Queen’s Silver Wedding, the re-hanging and expansion of the church’s bell peel, Carnival attractions from years gone by, plenty more familiar faces from generations of locals (including mine! ), and features about the famous Minstead Pantomimes. The exhibition is organised by Minstead’s Local History Group. My father’s particular specialisms have been to provide lots of background into parts of the history of the village church, All Saints, and he has done extensive research into the history of the Compton family, trying to outline how the history of the family in Minstead Manor has been affected by interesting marriages and connections since Medieval times. So, if you live in Hampshire, or have a particular connection or interest in Minstead, spare a couple of hours to visit the exhibition this weekend, and I might even see you there!